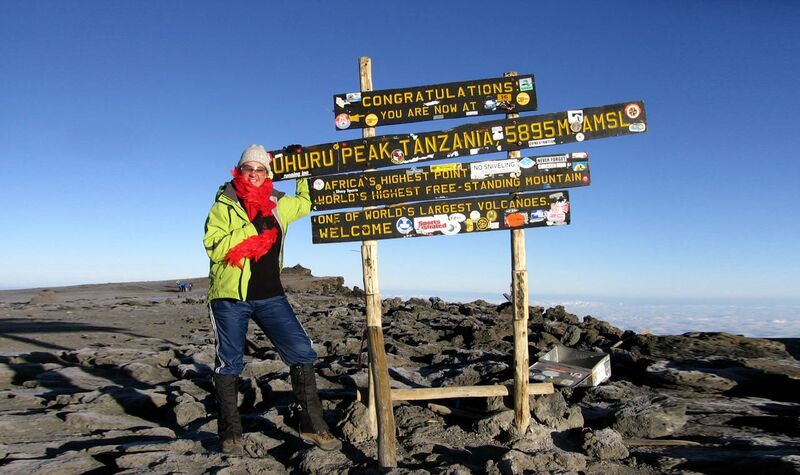 Hiking Mount Kilimanjaro will be, without a doubt, one of your greatest hiking achievements. Pushing yourself to the limit both mentally and physically, this is an experience not to pass up. Nothing beats that feeling of standing at the top of Africa, knowing your own two legs got you there. 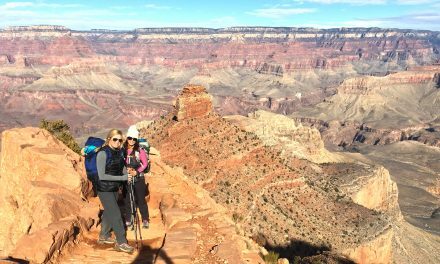 This was my experience and one of the great inspirations behind MyWildEarth and our love for the outdoors. 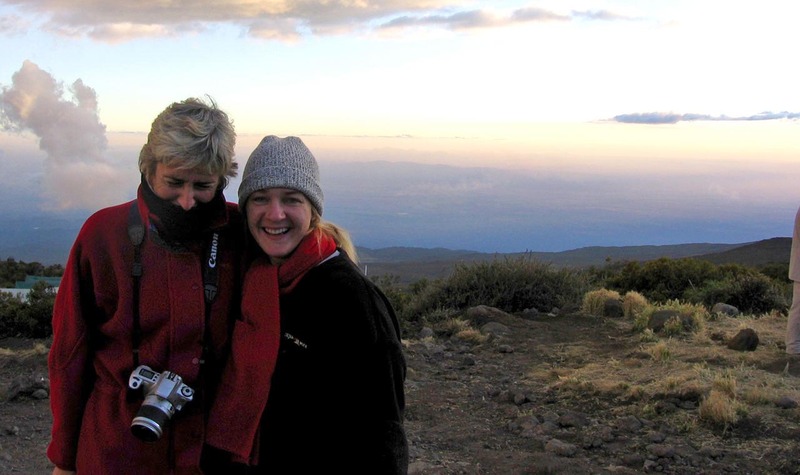 Though you must hike Kilimanjaro with a commercial operator, there are multiple routes and options offering something for every preference and fitness level. 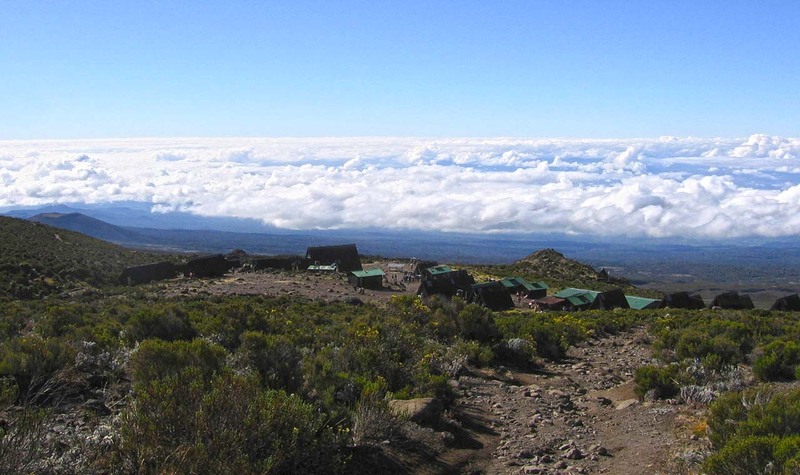 The Marangu route was once the most popular route because it is the cheapest and can get you to the top in just 5 days. However, it’s more stressful on your body as you have less time to acclimatize to the altitude. As such, many climbers do not make it all the way to the summit via this route. 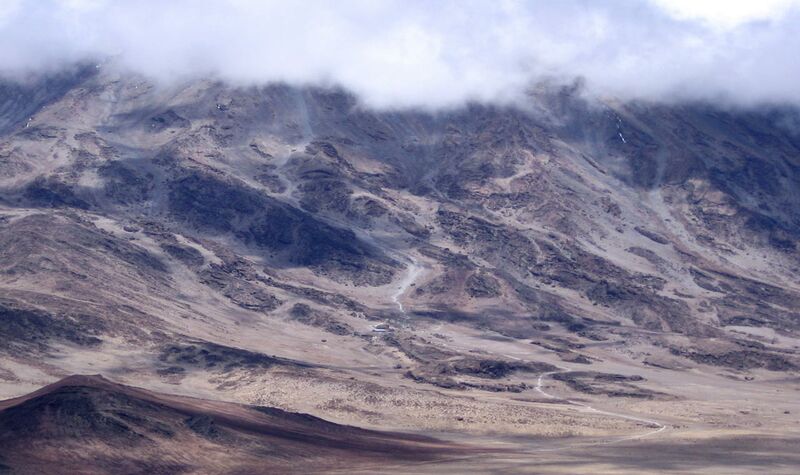 My tour operator offered the option to add an extra day on this route to acclimatise, giving you more chance of reaching the top. If you’re taking this tour, I’d strongly suggest you take it. Here is my experience on the 6-day hike to Uhuru Peak. Climbing at full moon offers a great advantage to the final night’s hike, so schedule your dates to coincide if you can. The route will be slightly busier on these dates. Bathroom conditions are beyond basic. Bring hand sanitiser and baby wipes. As one of the very few on the trip to stay healthy and germ-free, trust me that it’s worth overdosing it on hygiene to ensure you give the challenge everything you’ve got. Your guide, cook and porters will be awaiting your gratitude at the end of the adventure. To avoid being unprepared and facing that awkward expectation, have a small stash available for tips. The first day is filled with the buzz of excited climbers. We arrived at the Kilimanjaro national park gate, at the foot of the mountain and made the last preparations for the hike. There were so many people busily packing their food and water, arranging packs and of course mentally preparing for the hard journey ahead. Here we met our guide and porters, who became our family for the following 6 days. When you go, make sure you don’t give your porters your daypack here because your porters will quickly disappear ahead of you and you will definitely need your water, snacks, and extra clothes. Today’s hike is a real adventure. 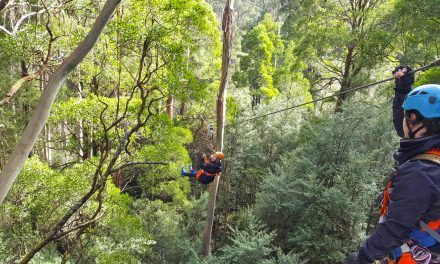 The route winds through the rainforest and throughout the day you will see many changes in the vegetation. After a few hours, we saw the forest change to dry trees and shrubs. Some people even spotted monkeys along this path. Every night on the Marangu route is spent in relatively luxury accommodation. There were even flushing toilets at the first few camps. On the first night, we slept in huts that fit up to 8 people. The first stop is the Mandara hut, where we were cooked a warm meal before resting for the night. Today I started to feel the change in altitude. The best way to tackle this was to stay hydrated and eat plenty of food. Although I struggled to find the appetite, the snacks my guide had packed were a life saver. The guides fed the hikers with pretty gross, carb-heavy & oily foods throughout the journey, so it was handy to also have some energy bars and nutrient-rich snacks to keep me going. Today we left the forest behind and found ourselves walking through moorland. The clear skies and lack of tall trees gave us a beautiful view of Kibo and Mawenzi. We also saw some of Kilimanjaro’s unique plants, like the giant Lobelia and the even bigger Groundsel, which reaches up to 5 metres high. 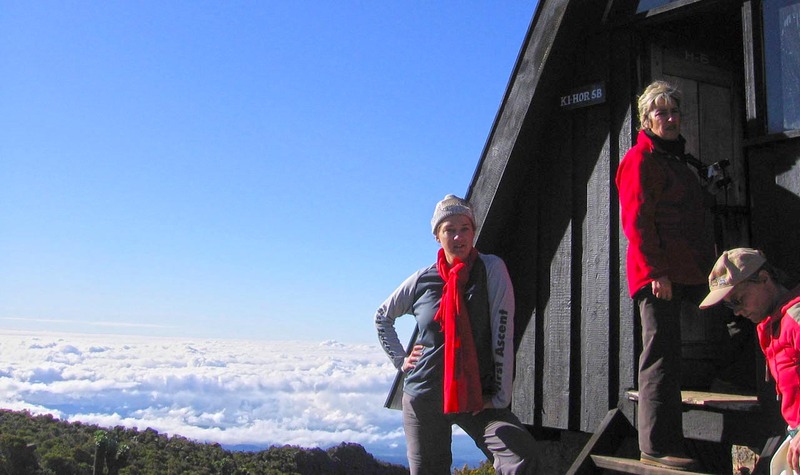 The end of day two is the Horombo Hut. By this time I was feeling exhausted. It was hard to fall asleep initially in the cold, high altitude environment, but exhaustion soon took care of that. I was also thankful for my hand sanitizer and baby wipes. I used it constantly because we were only given a little water at every stop to wash with. Trust me, the climb is hard enough without the aches of an oncoming cold. For those who choose an extra day, day three is the acclimatisation day. This means you spend an extra day and night at the Horombo hut with a hike towards Mawenzi hut and then back to Horombo. 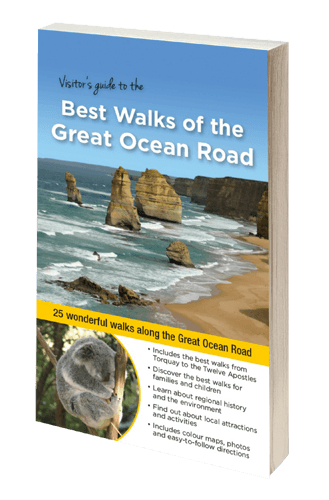 This is the busiest campsite for this reason – so many people coming and going. On this hike, we passed by many beautiful sights and it was a nice short 4-hour hike. Make sure you get to bed early as this is the last good night’s sleep you will have on this trip. After breakfast, we continued up into the alpine desert habitat. We took a different route from the hike we had done the previous day, passing by the last water point. Here your porters will collect water from the not-so-appetising streams. This is when we were all thankful that we had our water purifying tablets. Some of the other hikers brought energy powder to mix with their water to mask the taste – this was genius. The walk to today’s destination, the Kibo Hut, was not long but it was hard. The path doesn’t look steep, but I could feel my lungs struggling. I was thankful for my preparation on the treadmill the few months before, that’s for sure. Despite this, the views were breathtaking. Big, rolling clouds and open skies as far as the eye can see. Today is the day. We had our rain gear on and our water, gloves, hats and head torches (with extra batteries) ready to go before we went to sleep. Our final ascent started at 11 pm when we were woken up with hot food and tea. We were lucky to have a full moon lighting our path. The climb was slow. I’m no athlete so I really understood the meaning of the “Kili-shuffle”. I took it one step at a time, letting others pass ahead of me. There is no point rushing this climb, it’s more important that you make it to Uhuru peak. The first big checkpoint is Gilman’s Point. With some tour groups, you are awarded a certificate here, because simply reaching this point is an achievement in its own right. From that point on, it’s another hour-and-a-half until you reach the peak. The journey is tough, but the view is worth it. Surrounded by glistening ice-capped mountains, with the morning sun shining, you feel like you can conquer anything. We spent a few minutes taking in our surroundings (as well as taking the mandatory group photo or two.) Everyone reacted differently at this point. I was in awe of where I was, many were emotional at having reached nearly 6000-metre altitudes. Unfortunately, the descent was almost harder than the climb. It’s a long day back to camp but, the hard work was worth it. All any of us could think of on the way down was the warm food waiting for us. The last day (6 hours) on the mountain is nothing compared to the day before. 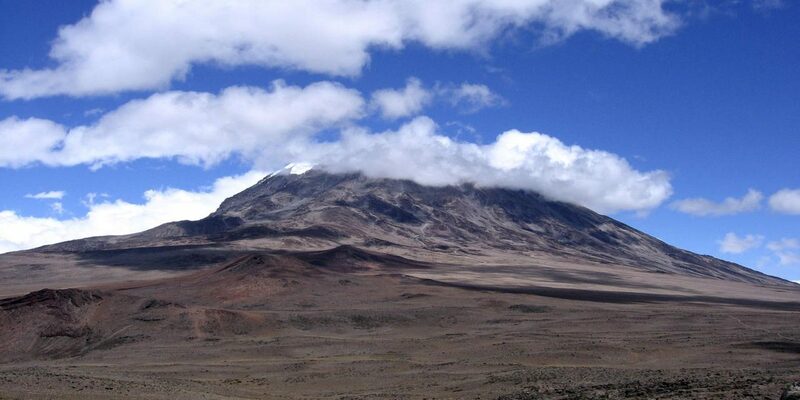 We had reached the top of Kilimanjaro. Anything after that seemed uneventful. We spent the descent chatting with our guides about the experience and feeling immense pride at the accomplishment. One of the best parts of this experience is getting to know the porters and guides. 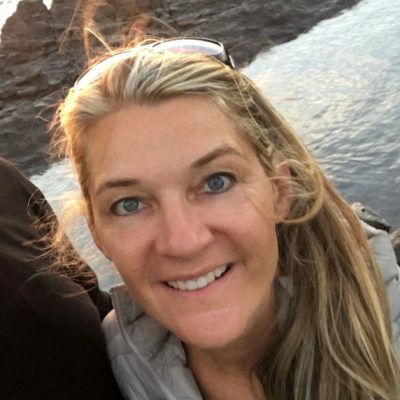 All in all, anyone lucky enough to get to Tanzania would miss out on an incredible life experience if they did not attempt to climb Kilimanjaro. Africa offers an impressive collection of incredible peaks. Living in Southern Africa has allowed me easy access to the Drakensburg Mountains inland, all the way to the southernmost tip of Africa. The Table Mountain National Park and Garden Route along the Cape coast offer breathtakingly beautiful views and trails that have kept me exploring tirelessly over the years. 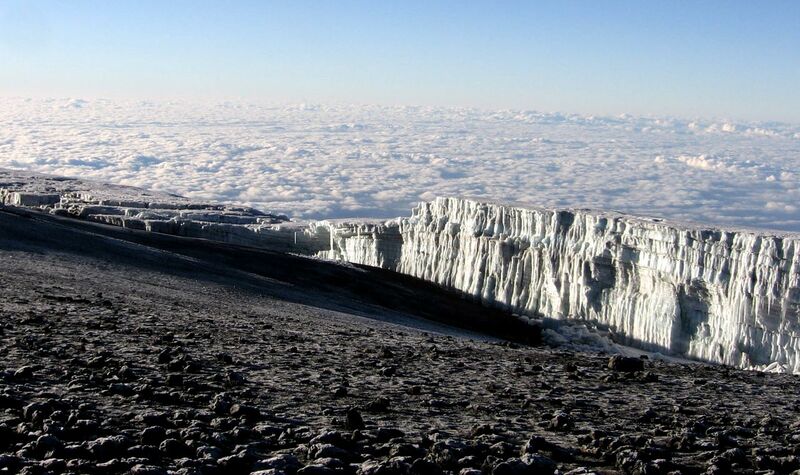 Of all my hiking adventures, Kili has been the most extreme and memorable. Although I don’t plan to return, it has left me with an immovable belief in my ability to conquer any challenge I face. 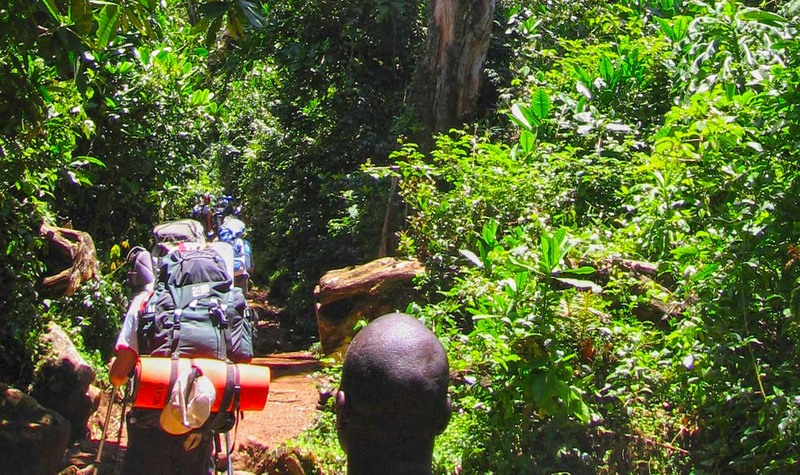 Costs: By Tanzanian law you must hike Kilimanjaro with a guide and at least two porters. There are lots of tour options available and prices vary depending on the route you select, the amount of days you choose to climb, and the amount of bells and whistles you add to your package. The average cost is around $2000 per person. Flights are not included in the tour prices. Tour operators generally organise your accommodation on the night before and after the climb as well as airport transfers. Getting There: You will fly into Tanzania via the Kilimanjaro International Airport, which serves the district of Moshi, the ideal location to be based for Kilimanjaro. 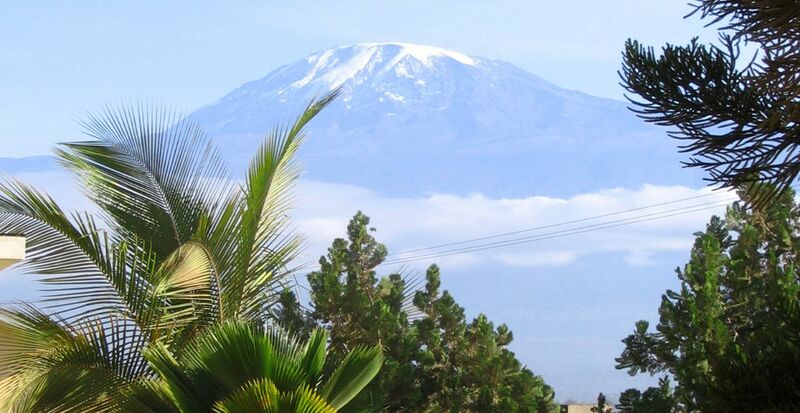 Further Info: Kilimanjaro is often sold as a tourist adventure holiday but is not to be underestimated. The altitude claimed 2 lives on my trip, confirming that the mountain should be taken seriously. Climbers should be fit, healthy, and know their limitations. Teaming up with a reputable tour operator or an experienced guide is essential. The guides know the mountain, it’s weather conditions, and what to do should you show signs of altitude sickness. 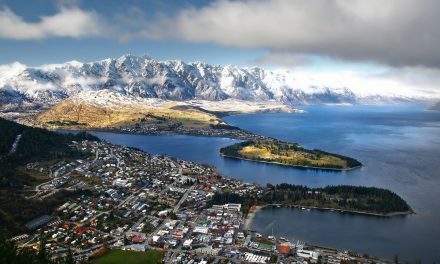 ClimbingKilimajaro.com is an excellent site to use for research on the various routes and to ensure you are fully prepared. The site includes recommended reading and training tips which are extremely helpful. 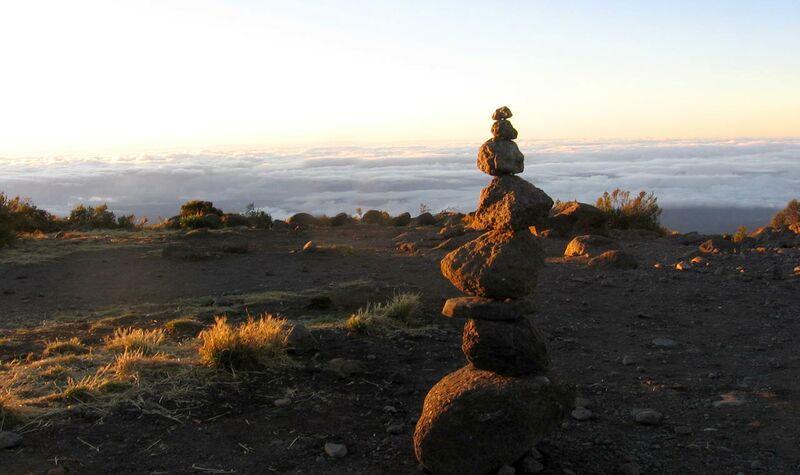 Have you hiked Mount Kilimanjaro? Got it on your bucket list? If you have any stories, updates or corrections, please let us know by commenting below. 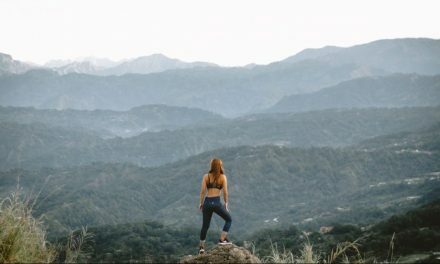 Bianca’s first major hiking challenge was the Drakensburg Mountains in South Africa and she has been hiking ever since. Preferring nature over the city and quiet over crowds, she loves exploring the outdoors and travels to feed her passion to experience these special places first hand. This is definitely on my to-do list after reading this. Sounds absolutely incredible. Great article! I’m with you there, Tim! Hoping I’ll strike it rich one of these days so I can start getting through that bucket list of mine haha.